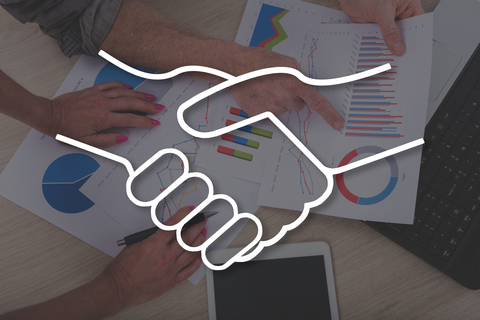 A partnership agreement is a legal document that spells out the rights and obligations of the owners, such as their percentages of ownership, their shares of distributions, and what happens when a partner retires, dies, or just wants out. If you are in a partnership, you may want to make some changes in your partnership agreement at this time. Similarly, if you’re a limited liability company (LLC) that files a federal partnership return, you, too, may want to make some changes in your operating agreement. Why? Changes in circumstances and new tax rules may warrant some revisions. When a new partner comes into the partner or when an existing partner leaves, you may want to amend the partnership agreement. This may be desirable to reflect new roles in the business, as well as new allocations of partnership items for tax purposes. Partnerships may want to change their form of entity for various reasons (e.g., to become an LLC so that owners gain personal liability protection). Of course tax issues for the changeover must be taken into account. When a partnership converts to an LLC, a new operating agreement is required. When an LLC elects be a corporation taxed as S corporation status so that owners can receive wages, amendments to the LLC’s operating agreement are needed. Why make this election? This affords withholding to cover taxes on the wages and the owners’ share of profits. It may also be helpful under new tax law to create W-2 income for service-type businesses. What changes to the agreement? Eliminating references to partnership taxation (the default tax treatment for an LLC with two or more owners) and adding references to S corporation taxation. For tax years beginning after December 31, 2017, new partnership audit rules apply that conduct audits at the partnership level and assess any resulting underpayments to the partnership. (Partnerships may elect to apply the new rules before this date.) Under the new rules, partnerships with 100 or fewer partners, all of whom are individuals, S corporations, estates of deceased partners, and certain foreign entities, can elect out of the new rules. Who is the partnership representative (how the person is chosen/removed). This person need not be a partner. How to determine whether to elect out if there’s 100 or fewer partners. How to handle the partnership-level tax that may result from an audit at the partnership level if there’s no election out. One partnership may decide to combine with another, or a partnership may split into two or more parts. There may be valid business reasons for making these moves, and usually they require a new partnership agreement. Owners should discuss these matters among themselves. Then they should work with an attorney to be sure that the amendments reflect their intentions and are done in a manner as required by law. If owners don’t know whether changes are needed, they should have their documents reviewed so their legal and tax advisors can suggest possible changes that should be made at this time. Note to Self: Don’t Look Back!